Dear Dr. Blake, I am an active (swim, pilates, yoga, circuit train, walk) 52-year old female with severe arthritis in hands and feet. Three years ago I had cheilectomy with osteotomy on left big toe. Dr Blake's comment: The cheilectomy is a joint clean out of bone spurs and scar tissue and the osteotomy is to shorten the first metatarsal taking pressure off the joint. This relieved pain for nearly two years. I wear MBT shoes most of the day, avoid heels over 2 inches, take NSAIDs, etc. Now having severe stomach issues. No more NSAIDs. Discomfort is near-constant. Dr Blake's comment: Switch to topical Flector patches or Voltaren gel for the top of the joint. And try to lay an ice pack 2-3 times daily on top of the joint for 10 minutes to keep the inflammation under control. You can go to PT and get 5 iontophoresis treatments with topical cortisone (dexamethasone phosphate). I will try the taping procedure you recommend. Here is my question: I am scheduled for surgery July 18. Was leaning toward joint fusion, but wonder about joint replacement. Dr Blake's comment: This type of surgery is no difference than knee cartilage tears. 5-10 years of a good result is considered normal response. Even joint fusions have 15-20% poor outcomes, and you can not do much about. I can only give you my bias, but I prefer possibly a second clean out, or partial implant (like the knee), as your next choice. Before surgery, perfect the taping, make sure your orthotics are great, and calm the joint down with a removable boot for 3 months with PT if need be. You may be very surprised how well you do. Calming the joint down will definitely help you make a clear headed decision about the next surgery. If you decide on fusion, consider occasional cortisone injections into the joint first to at least cool the inflammation down while you get some opinions. My doc will do either, but cautions that I will likely wear out the joint replacement in fewer than ten years, possibly a few as 5. I will then need another surgery. This makes me hesitate. Dr Blake's comment: Do not use possible future surgery as a reason to do a more permanent procedure. The KISS principle still applies here. Think of the possible stress on other body parts if you have the big toe joint fused. Nothing is easy. Go one surgery at a time. Additional Info: Also had Morton's Neuroma removed. No cartilage remaining. Several bone spurs and cysts. 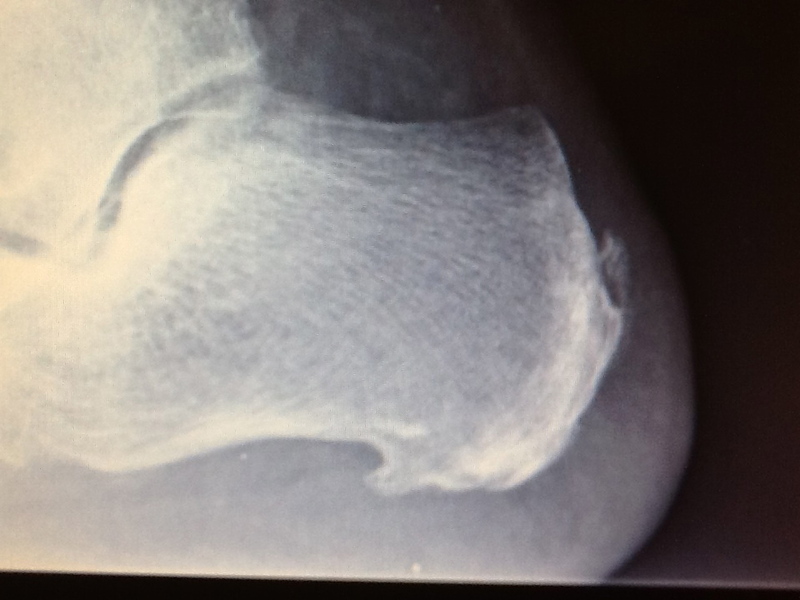 Bone on bone with severe degradation in head of metatarsal. Dr Blake's comment: Can you send a photo of the same image from your MRI that I have placed here so I can look at it and it may change some of my thoughts? 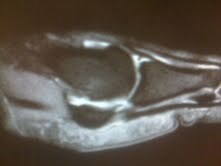 Side view of First Metatarsal showing great bone across the joint of a T2 weighted MRI. "Gel Toe Spreader with Loop"
By the way, so far so good on my new orthotics. You can see on Emma's feet how the ring around the 2nd toe may prove very helpful when the toes are moving out of position to hold the toe separators in place. Some of my patients complain that the traditional toe separators move out of place, so this may be an excellent product for them. 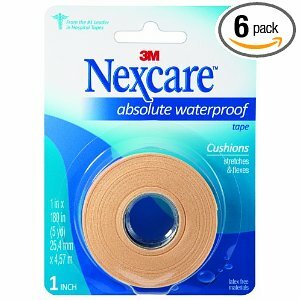 The tape I use is 3M Nexcare absolute waterproof. It is much stronger than the Kinesiotape for my big toe joint taping. It does not irritate the skin and can last 3 days. I purchased mine at the local Walgreens. I am grateful, and so are my feet! The following video on Big Toe Joint Taping have the Kinesiotape switched to Nexcare or Rocktape. Julie is a patient I saw yesterday (name changed for privacy). She has Insertional Achilles Tendinitis and came in for a second opinion. This was the outcome of our visit where I found extremely tight achilles tendons and a prominent heel bone that can get easily irritated by the back of a shoe. Xrays did show some bone spurs which may or may not be part of the pain, but definitely influence how the medical world treats this. Thanks for taking time to answer questions and share information this afternoon. Below is my understanding of our discussion. I have a couple of question marks where I would appreciate your confirmation/clarification. Dr Blake's comment: Definitely a 10-15 minute ice pack within 2 hours of an activity that would predictably irritate it will allow overall less inflammation to collect and cause activity reduction over the next few days. 3. 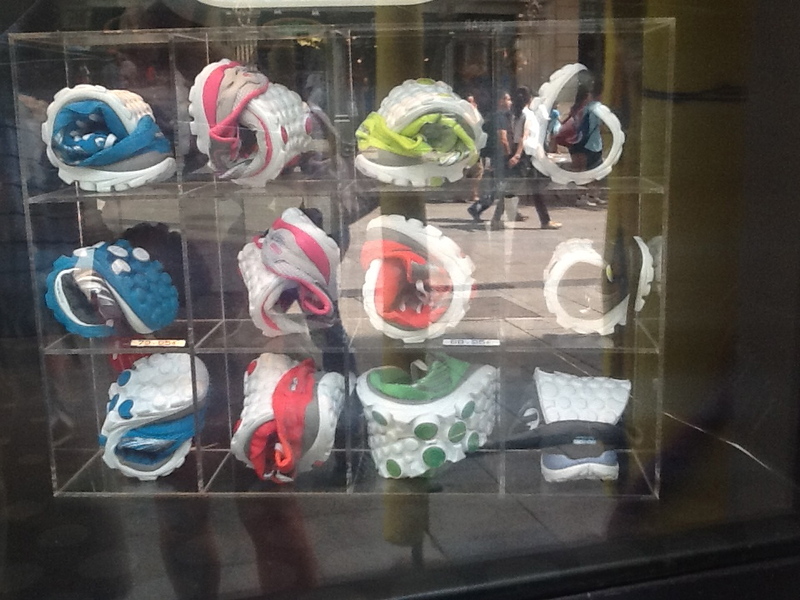 Use the heel lifts in the running shoes – icing can be wrapped around foot, it does not need to be localized/massaged. Dr Blake's comment: I gave her several 1/4 inch heel lifts to use in non heeled shoes, like her running shoes, to take some tension off the back of the heel where the achilles attachs. It also changes the position of the heel against the back of the shoe, and sometimes helps take some pressure off (and sometimes puts more pressure and has to be removed). 6. Increase running methodically – flipping run/walk ratio by a minute, if the pain is flared up, I don’t need to go backward on the time flip, just hold off on running until it settles down. 8. If I do any strengthening for the calf, such as the calf raises, do it in the evening then ice and rest overnight. Dr Blake's comment: When strengthening an injured area, at the same time allowing activities which will stress the area, it is important to do the strengthening in the evening 1-2 hours before bed to avoid weakening the muscles/tendons and then having to use them. Dr Blake's comment: If you read my blog, you probably know I love MRIs. There are too many generalizations being used to treat patients, and MRIs are a great way to individualize the treatment more and understand just what is going on causing this pain. The MRI can help differentiate partial tears, excessive scarring, bursitis, bone edema, and achilles calcifications from the more common plain old ordinary once around the block standard double play achilles tendinitis. 11. If an activity hurts, stop, unless the pain is letting up, including running. Dr Blake's comment: Julie has a high pain level which can work against all rehabilitation programs. Getting her to understand Good vs Bad Pain is crucial. Pain at the start of a workout that looses up and disappears is typically Good Pain. But if the pain comes back while in the workout, you have reached your physiological threshold, and you must stop. Pushing through that pain is BAD!! 12. Cortisone injection is not recommended, topical might be OK.
Dr Blake's comment: There is four ways to administer cortisone in this patient if we are having trouble getting ahead of the inflammation. Topical with Iontophoresis in Physical Therapy, Short Acting Cortisone Injection, Oral Cortisone in a 7-8 day tapering dose, and Injection of Long Acting Cortisone. Only the Long Acting Cortisone Injection could produce some series damage including tendon rupture, but the other 3 must accompany 2 weeks off athletics which stress the tendon. 1. If I have flared it up, do you have any concerns with taking some Ibuprofen for inflammation? Dr Blake's comment: Ibuprofen is fine for flareups, just never take so you can mask pain before working out. 2. Do you think there is any benefit to using products, such as BioFreeze? Dr Blake's comment: I think biofreeze or topical voltaren gel (by Rx) or Flector patches (by Rx) or zyflamend (OTC) are great adjuncts to the above treatments. This is information from Podiatry Management Online Magazine service. Kudos to Dr. Kass for mentioning the relationship between peripheral neuropathy symptoms and vitamin D deficiencies. In our practice, we have worked up a number of patients with severe peripheral neuropathy and found incidental findings of vitamin D deficiencies. In all cases, what motivated the ordering of the test was the finding of osteopenea in the met heads. When the patients were placed on vitamin D supplements (either over-the-counter or prescription grade), they had very rapid resolution of their neuropathic symptoms. Hence, we now add a vitamin D 25 test as part of our work-up when we evaluate patients presenting with painful neuropathy. I want to caution readers not to interpret this as meaning that all cases of peripheral neuropathy are caused by vitamin D deficiencies, however, it should be on your differential diagnosis list when evaluating patients presenting with pedal symptoms of peripheral neuropathy. I stumbled upon your blog when researching about Hallux Limitus. I am fairly young in my early 20's and am attending university. I have had some pain on my foot for some years now and have decided to get it checked out. I went in today to a podiatry doctor to look at my foot. 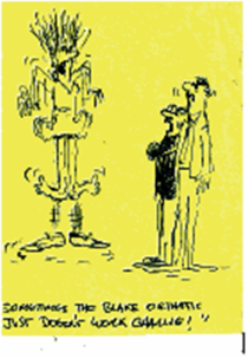 I had thought I had bunions, but he said I had Hallux Limitus instead. He didn't really explain much to me and really rushed through my appointment. I was hoping you could give me some insights. I have done some reading online about this condition, and I do have questions about treating and surgery. The doctor did examine my feet, but no x-rays were taken. He did say that I do have some limitation of movement of my big toe. I feel like I need to know how serious it is before deciding what to do. I know I have the option of having surgery to remove the pain or doing non-surgical methods. I am leaning towards surgery, but I also understand that surgery may not be successful. What are your recommendations? Do you know the success rates for surgery and would I really need it? You are so far away from surgery because you need to begin treatment first. Hallux Limitus can be structural with wear and tear changes of arthritis beginning in the joint, functional due to jamming of the big toe joint into the ground with over pronation or pes cavus foot type (high arches), or a combination of both structural and functional. So, you need to find out what type do you have. Functional Hallux Limitus does not need surgery, only orthotics or dancer's pads (also called reverse Morton's extensions) to take the abnormal pressure off of the joint. Structural Hallux Limitus has 4 stages of advancing arthritis. As the arthritis gets worse, the pain can get better or worse. Seems odd, but often as the joint gets more arthritis the bone changes cause great limitation of the joint, and the joint stops hurting. Stage 1 and 2 are truly just joint limitations, and can normally be conservatively managed. I have seen just as many Stage 3s as Stage 4s (normally called Hallux Rigidus) have surgery as not need surgery. Combination Hallux Limitus has both the structural component and the functional component. You have to first treat the functional component with orthotic devices to get the weight in the middle of your foot, freeing up the joint. The health care provider needs to be skilled at designing orthotic devices for such a weight shift. Then the structural component can be treated with Morton's extensions, spica taping, carbon fiber inserts, etc. So, before any thought of surgery, go through this checklist. You sound too young to end up with trouble with surgery. Surgery never fixes this back to normal. So postpone the first surgery as long as you can have success with conservative treatment. The goal of conservative treatment would be to allow 0-2 pain levels, while you are fully functional (doing every thing you want to do). Have orthotic devices designed to off weight the big toe joint. Have standing foot X-rays to check on the overall health of the joint and foot in general. Get an MRI before any discussion of surgery to check cartilage status. Learn to spica tape with kinesiotape. Discuss the opinions of 3 different surgeons when one surgeon tells you that your only option is surgery from this point on. Begin a 1 year program of daily foot strengthening exercises. Learn the self mobilization procedure for Hallux Limitus. Ice pack your big toe joint area for 15 minutes three times a daily for at least one month to reduce inflammation. 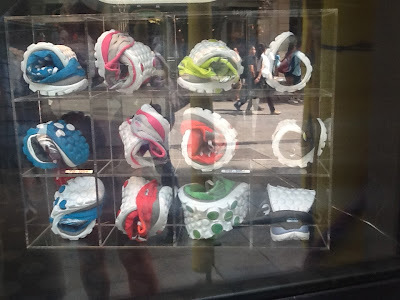 Learn what shoes and activities bother it, and what activities do not bother it. Never lean towards surgery, but rather but gently pushed there when needed by a caring doctor. Here's the shoes i had on today which fit my orthotics. I also attached a pic which shows the birkenstock like sole. I think they are good casual shoes, but also fit my big athletic orthotics!! Thanks again. I'll keep you posted after 5 runs! Original insert that can be removed to fit the orthotic devices, so that you can be in style and stable at the same time. 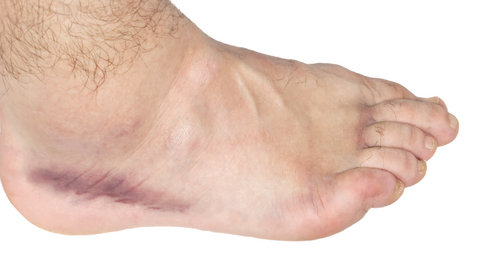 Ankle Sprains: Make sure Ankle Strength Even On Both Sides!! This is a good study of a fact that the sports medicine world has known, but little has been documented. So in order to reduce the amount of sprains in the first place, or prevent further sprains after the initial incident, get those ankles strong. The blog post on Single Leg Balancing Exercise is a great way to start. I just saw a patient whom I am using a series of 5 injections spread over the next 5-6 weeks to desensitize a very sore Morton's Neuroma to enable him to compete at a national level in Sprint Cycling. I may get permanent nerve anesthesia, but I am hoping and should get over 1 year of significant less nerve pain. Several years ago this procedure worked well for him. Dr Rich Blake See my original post on injections for Morton's Neuromas which talks about cortisone vs alcohol injections. I have a sprained ankle - xray showed no breaks. I asked the orthopedist if it was okay for me to fly, and she said yes but to except some swelling. The problem is that I didn't make clear that the flight was not a one time deal, work requires me to take 5 hours flights twice a week. On my flight this morning my ankle swelled considerably, to day 3 level swelling (right before the flight, day 8, had minimal swelling). Will having my ankle swell twice a week slow my recovery or cause further damage / scar tissue? I am on crutches, with an air cast, and used an ace wrap on the flight. If necessary I can ask to work remotely for a month, but I would prefer not to. I've had luck using transdermal Verapamil 15% gel from PDLabs- it's a non-invasive treatment. This information is off the Podiatric Management Magazine website. My name is Julie and I came across your site while researching hallux limitus surgery recovery. I'm a very active 48-year-old (with a 4-year-old daughter) and decided to have the procedure with my podiatric surgeon on April 27 after dealing with the disorder for three years and having tried everything—orthotics, chiropractic, acupuncture, you name it. I think the procedure went well, and though I know you can't comment on my case specifically, I'm wondering if given your experience in this area, if you can give me a sense of what you've seen with patients who don't show signs of immediate improvement (given normal healing time from the procedure). It's now 7 weeks out for me, and though I seem to have a bit more flexion than I did before, the pain is worse than it was before the surgery. My doctor was hoping to see more progress at my second post-op checkup two weeks ago, but she says to remain optimistic. I'm starting physical therapy next week. I get the sense from what I've read that by this point, the patients for whom this surgery is going to "work" have less pain than before the surgery, but pain greater than before the surgery at this point is a sign that the procedure didn't "work." (Using the word "work" very loosely here, of course). Again, I know you can't comment specifically. I'm just hoping you might have "anecdotal" input that could help me figure out the best way to move forward (I'm considering a cortisone injection after the 3-month mark if it's still painful). I want to have the best chance of getting the relief I had hoped for from the procedure. Thanks so much in advance for any insights you could share. Thanks so much for your quick response on your blog--it made me feel so much better (I've been very demoralized about this whole thing, which I know doesn't help with healing). To answer your main question: The surgery I had on 4/27 was a standard cheilectomy (no osteotomy). I have my first physical therapy appointment next Wednesday and haven't yet gotten the Dynasplint prescribed (don't even know what that is yet). I think my main question to you based on your blog response is regarding motion: after the boot came off, my doctor instructed me to manually move my toe up and down at that main joint several times throughout the day to help increase ROM. I'm wondering how that type of joint movement squares with your advice to keep the toe mobilized. Also, more broadly: wondering how walking in regular shoes (or barefoot) is different from moving the toe manually. Since I'm lucky enough to have you close by, I'm thinking I might make an appointment to see you after I reach my 3-month mark and have a post-surgery x-ray taken. Thank you again in advance for all of your help. It's such an inspiration to meet someone who is so obviously passionate about his work (and helping others!). I also have had chronic warts on my foot since 1999 (from 1 to as many as 20). I've tried a lot of different techniques, including freezing/shaving, surgical removal (twice, in 1999 and 2006), and most recently burning them off using an East Asian technique that is apparently common in Korea--effectively wetting finely ground grass and creating a "fuse" to the wart, and then lighting it til the fire becomes too close/painful, 10 times per session, per wart. In the first or second iteration of each of the treatments mentioned above, the warts were removed after 6-8 weeks, but each time they came back w/ greater resistance. In the summer of 2007 I had approximately 20 warts on both feet just one year after I had my one wart surgically removed in a bloody operation in '06; and my mother suggested the fire technique which, to my joy, removed all 20 warts in about 6 weeks. Several months later, a few warts appeared on the balls of my left foot, followed by one wart on the balls of my right foot. Tried the fire again, this time to limited effect. I gave up, figuring I could live w/ a couple warts. However this year I've taken on running as a more serious hobby, and the pain from the warts on the balls of my feet are a real impediment. Can you recommend a doctor for me in the NYC or Stamford area? Your run of the mill podiatrists want to continue to freeze and shave, but the last few incidences of freezing/shaving have only caused warts to spread. I even had one podiatrist who prescribed some herpes pills to help stop the spread of the plantar warts a few years back, to no effect. Would very much appreciate the reference. Dear James: The podiatric guru in that area has just retired, but I am sure will tell you who to see in the Stamford area. His name is Dr Michael Sabia. Here is his contact info. Currently retired from practice. Was in group of podiatric medicine and surgery for 40 years. Active with civic and sports groups for all of practice life. In the above article, Dr Joseph Hamill, PhD, UMass at Amherst, discusses research related to the benefits and disadvantages of running with a forefoot strike. Forefoot landing at impact is the key to various running techniques including the barefoot running technique. Dr Hamill is a natural forefoot striker himself when he runs. Whereas the barefoot running group highlights rearfoot or heel strike as the source of many injuries, running injuries are complex and multi-factorial. From a pure Biomechanics standpoint, there is no benefit to run barefoot or a forefoot strike. Forefoot strike decreases vertical impact peak, also called vertical ground reactive force, but there are still impact peaks just lower in her frequencies (intensity). Lower impact frequencies are attentuated (absorbed or dealt with) by muscle activity, higher impack peaks by bone. Muscles are weaker at handling impact stress than bone. Muscle injuries should occur with more likelihood with forefoot strike, and bone injuries more with heel strike. Loading rates may actually not be lower in barefoot running as claimed. Changing technique may be the most significant driver of change. When natural forefoot strikers switch to rearfoot strike, their loading rates went down. Even though heel strike may have more ground reactive force, it is less delicate of tissue than the forefoot, and can handle that stress. There are different strike patterns for different functions. Rearfoot strike for maximum energy efficiency. Forefoot strike for maximum speed. So Forefoot strike not designed for all purposes. It will work for some, and not for others.